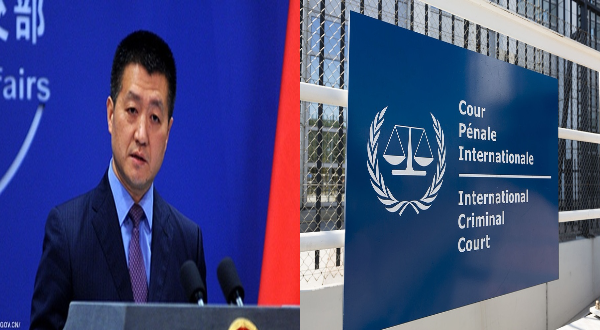 In light of the “baseless, unprecedented and outrageous attacks” of the International Criminal Court (ICC) against President Rodrigo Roa Duterte and his administration, which lead the Duterte to pull the Philippines out of the ICC , the Chinese Foreign Ministry spokesperson Lu Kang delivered China’s slamming statements against the ICC after trying to intervene with the situation of illegal drug-problematic countries. “China believes that a sovereign country has the right to say no to political manipulation under the cloak of law,” he added. Apparently China supports and admires Duterte’s anti-drug campaign for it brings out the sound environment that the Philippines’ economy deserves and moreover tranquility to the citizens lives. Kang pointed out that why should the ICC be against a campaign that the Filipino people are supporting despite the expected casualties. And on top of that, the Rome Statute has no jurisdiction on the Philippines despite the case that Atty. Jude Sabio brought up due to the discretion of the said case, it was not publicized in anyway, it was just a random tip from a publicized source.